Scheduling software is no good to anyone if it doesn’t account for all factors of a project – including contractor availability, equipment inventory, and customer expectations. This is why a seamlessly integrated and easily accessible platform is so important. Chetu’s AEC technology specialists develop custom construction scheduling software that empowers users to create a thorough plan and stick to it. 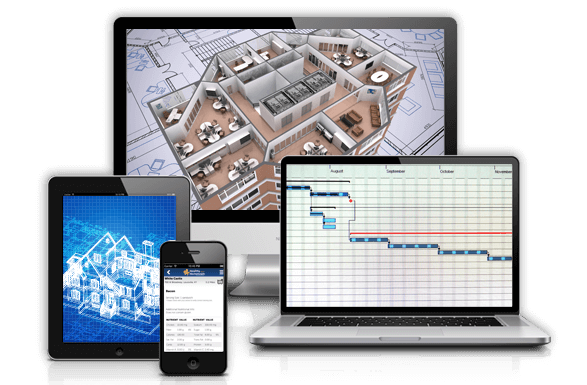 Our experts develop intuitive construction schedule software specifically designed for the needs of the AEC industries. Our desktop, mobile, and browser scheduling apps enable users to rapidly generate all schedule types, assign resources to each task item, and designate role-based access controls. We develop mobile AEC schedule apps for all operating systems for field managers to consult and update scheduled task statuses in real time, and leverage mobile phone camera APIs for one-click uploads of project site photos and signed invoices/delivery slips. We also use GPS software to track deliveries and audit where change orders originate from. Our construction labor scheduling software includes features for individualized task assignments, smart workload distribution, automated contractor scheduling, productivity tracking, and attendance management. We also program decision support algorithms to automate employee schedules based on skills, availability, and FLSA/union labor rules. Streamline collaborative planning and avoid construction timeline discrepancies by sharing centralized calendars with subcontractors and vendors. We code custom conflict resolution engines and critical path algorithms to automatically schedule the best contractors based on breakdown by cost code, performance history, and geographic proximity. Our construction schedule dashboards and reporting modules visualize critical data related to time-sensitive projects and tasks. We include notification management apps to set up targeted alerts (SMS, email, push) for breached deadlines and other key events, and program audit trail software to archive all schedule interactions. We build end-to-end construction ERP and project planning management apps with embedded scheduling modules, as well as integrate custom and third-party scheduling software with existing systems. Our AEC scheduling software easily interfaces with accounting and financial apps, equipment management systems, and bidding platforms.